Spud & Chloe Tiny Tots Collection Patterns - Jack and Jill Jumper - PDF DOWNLOAD and Spud & Chloe Small Fries Collection Patterns - Lucky Loop Vest - PDF DOWNLOAD are both similar patterns: 10 (2.5 sts. / inch) finished gauge, for babies and children, and super bulky (11 sts or less/4 in) yarn gauge. 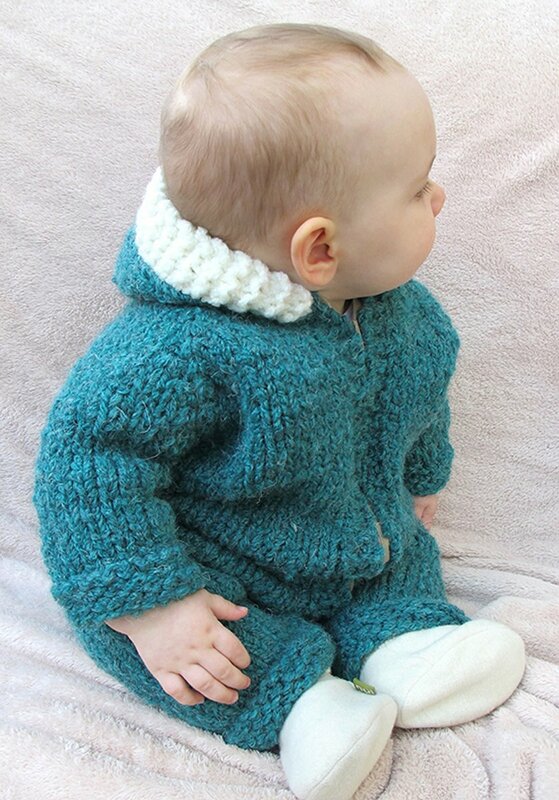 You may enjoy taking a look at the Knitting Pure and Simple #9730 Childrens Neckdown Pullover, and Knitting Pure and Simple #232 Children's Tunic kits all using Knitting Pure and Simple Baby & Children Patterns. Hopefully our suggested yarn options for 9730 - Children's Neckdown Pullover can help you come up with your next exciting new project idea!